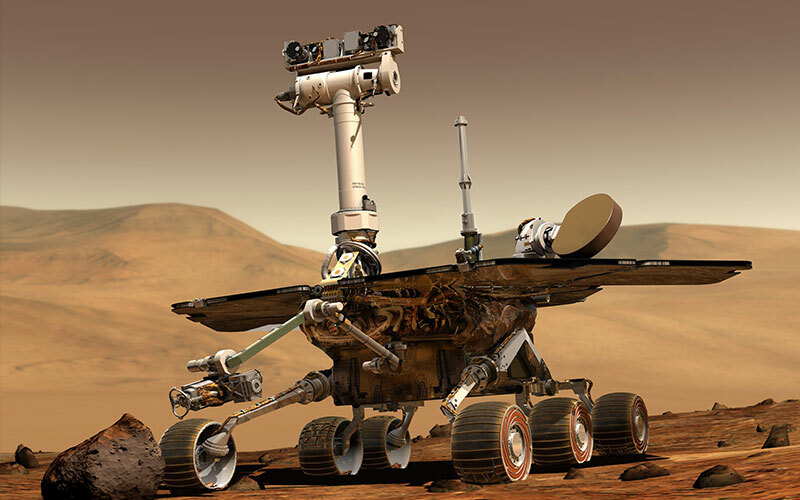 After taking a "direct hit" from one of Mars' notorious dust storms last weekend, Spirit phoned home today at 11 a.m. Pacific Standard Time, exactly like its ground team had asked it to do and members of the rover team at the Jet Propulsion Laboratory (JPL) cheered. "She's talking!" There was a worrying update posted on the JPL website for Spirit today: an early-season dust storm has darkened its skies enough that its solar panels produced only 89 watt-hours of power yesterday, sol 1,725. 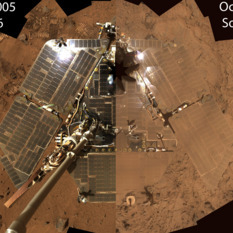 Neither rover has ever, ever seen power production levels that low, not even during last year's massive dust storm.